Actress and UN ambassador, Angelina Jolie Pitt, said violence against women is still largely ignored and that women still bear the brunt of extremists around the world. The Hollywood mother who is in the country, addressed a room full of delegates at the biannual African Union Summit on Thursday, held in Johannesburg this year. Dressed in Micheal Kors, she praised the resilient African women who face such trials and concluded her speech by suggesting that the way forward is for women to play a vital role in drawing up such policies. A highly important reblog care of YoungToday. The importance of the worldwide epidemic of violence against women cannot be overstated. Actress and U.N. 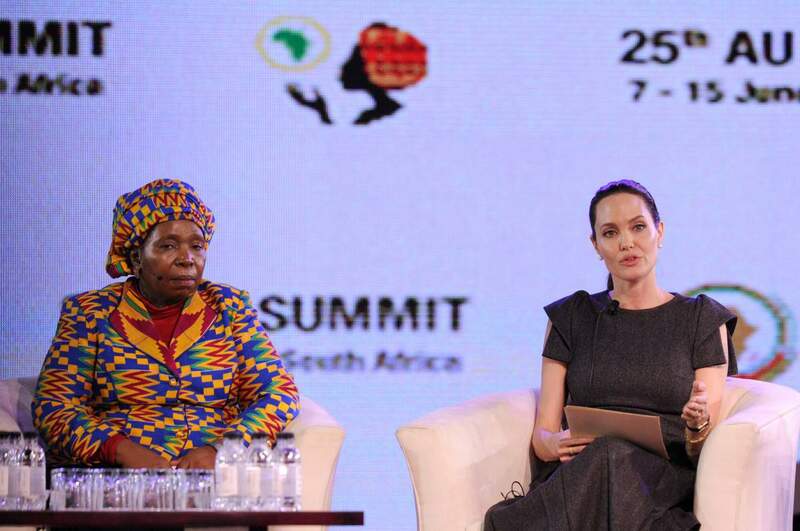 Ambassador Angelina Jolie knows that, which is why she spoke to a room of delegates at the African Union Summit in Johannesburg this past week. Read the entire article below, and thanks again to the YoungToday blog for the original posting. Thank you Rongreezy for the kind words.